You may be wondering how a little water leak in your home can cause so much damage. If your home is built on a property with a high water table, it’s constantly subject to water runoff. Water can accumulate in the soil around the foundation. As it freezes and thaws, it expands the soil and puts pressure on the walls and the foundation footings. From this, cracks appear. The cracks will only get worse if left untreated. Once your foundation is severely cracked, it will require substantial reinforcement to prevent bigger structural damage to your home. Patching walls or floor cracks with DIY products are only a temporary solution, not treating the root of the problem. In this event, you need an expert foundation repair. Trust the contractors at Now Dry to not only repair your wall cracks, but to make your home stronger! 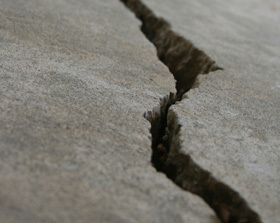 We seal wall cracks and provide stabilization for bowed or buckling walls, sagging floors and settling foundations. With expert craftsmanship, great communication with our clients and Our work is guaranteed for the life of your home. Do you have a block wall that is cracked or bowed, leaving your home’s structure unstable? This can not only be unsightly, but extremely unsafe to be in. When you first notice that your home is having structural issues due to wall buckling, requesting a professional repair is imperative. In this event, calling Now Dry is your best bet. As a certified waterproofing company, we have experience in bowed wall repair for Michigan’s basements. Our experienced contractors are licensed to repair and rebuild your home's foundation and provide a waterproofing solution that will prevent your walls from cracking and buckling again. Is your cement basement making it look cold, uninviting and just plain undesirable? You’re not alone! Many homes in Michigan still have unfinished basements that drive guests away instead of invite them in. While it may solely seem like a space for storage and the family washer and dryer, your basement can be so much more than that! At Now Dry, our wall panel systems transform your cement walls into smooth, beautiful, stain-resistant walls. They are designed to work with our custom waterproofing system and provide a finished surface that's ready to paint in your favorite color. Once installed, our wall panel system will direct any wall seepage to your drain tile system and over to your sump pump. Our superior installation of White Panel Systems protects your basement from the aftermath of water damage caused by leaks. When you notice the first signs of water seepage, taking control of the situation and having your home’s foundation examined is imperative. If left untreated, foundational damage can compromise certain parts of your home and cost thousands of dollars to remedy! Any basement can leak or flood due to the harsh weather elements that come and go in Michigan, but this doesn't mean that it's any less serious. As Michigan’s leader in basement leak repair, Now Dry will not only repair your foundation’s cracks and seal up leaks, we will also advise you on how to prevent future leaks and flooding with our effective waterproofing solutions. Our approach is comprehensive, taking into account all of your home’s features that can contribute to leaks. 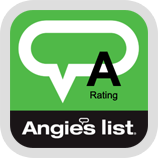 Simply give us a call, tell us your home’s concerns and we’ll provide a solution! Ready to Fix that Cracked Wall? Call Now Dry! We provide free estimates to repair foundation and solve leaky basement problems for Michigan homeowners in Fenton, Berkley, Ferndale, Royal Oak, Birmingham and the surrounding areas. Steve and his assistant were extremely knowledgeable, very fast at working and made minimal holes to our finished basement to repair many hidden tie-rod holes that had begun to leak. Highly, highly recommend him! He has also done work for my sister who was having foundation issues.